Liverpool was back in the news this week. 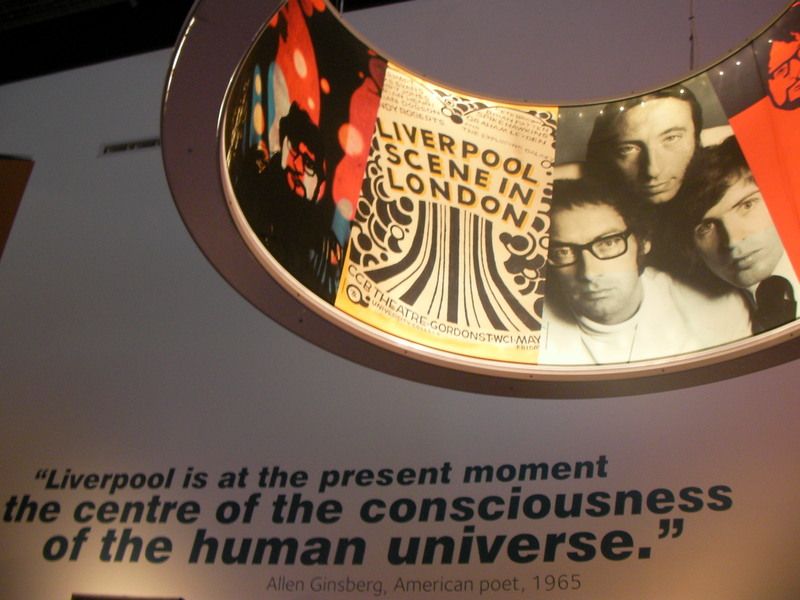 The new Museum of Liverpool, the £72m development on the city’s World Heritage waterfront, opened its doors. Given that summer holidays had just started, I took my girls to have a look around. 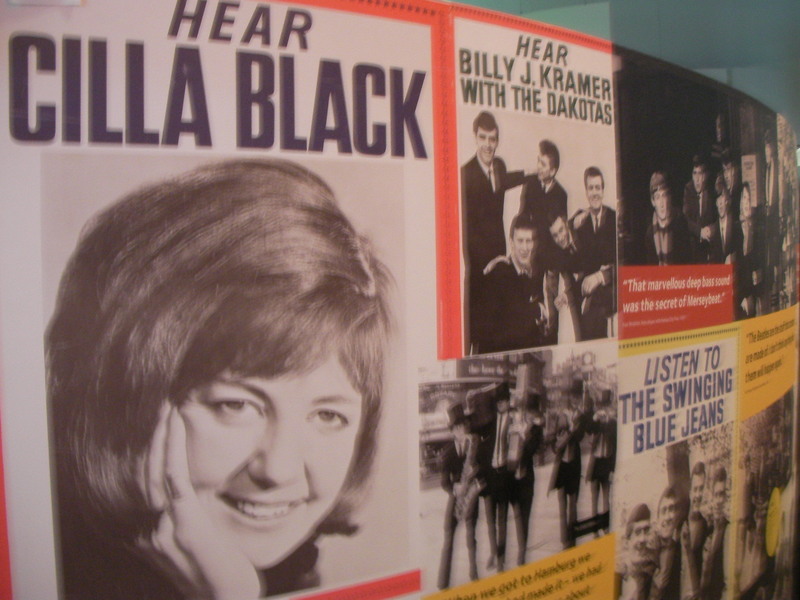 … and not just the Beatles. 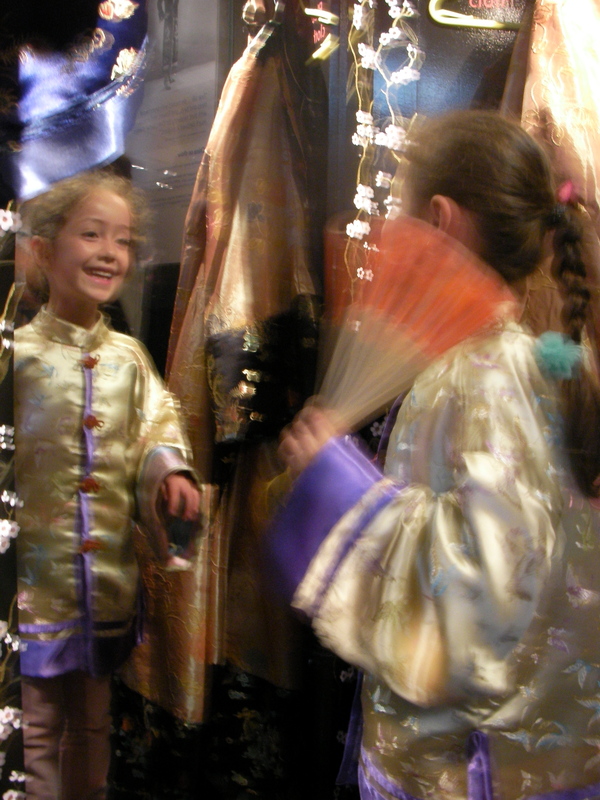 Maya loved dressing up as a Chinese princess in the more compelling ground-floor section, which explores Liverpool’s place in the world as a key trading city. 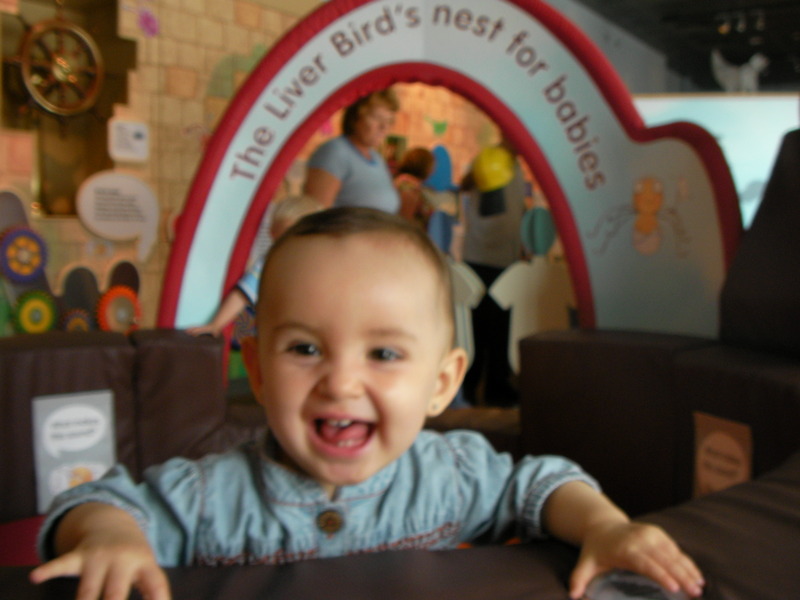 And Olivia liked the soft-plat area as part of a good little gallery for children, a decent learning resource based around the alphabet. 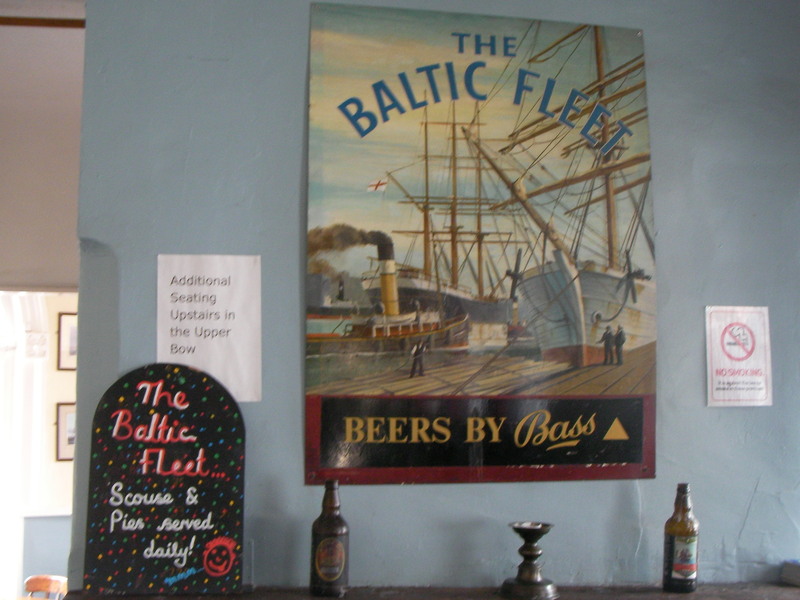 The museum was packed on Friday and the cafe heaving at lunchtime, so we escaped to one of my favourite Liverpool boozers, The Baltic Fleet. It was nearly empty, has some great ales on tap from the Wapping microbrewery in the basement and plates of Scouse for lunch. Not bad for a ten-minute walk from the coach-party frenzy of the Albert Dock. We didn’t stick around for the evening son-et-lumiere show but, if you’re in Liverpool this autumn, there’s more On the Waterfront during September. We did pop into the exhibition at the Royal Liver Buildings to mark the centenary of Liverpool’s most famous landmark building. My grandfather worked here in the Fifties for the shipping company, Palm Line Ltd. The business is long since defunct but I’d love to hear from anyone who has memorabilia, documents or memories of the trading route from Liverpool to West Africa. 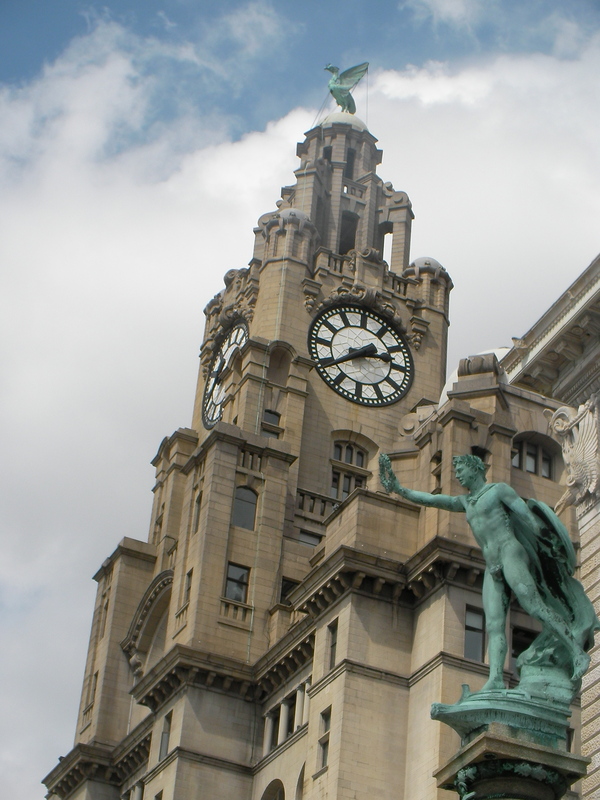 There will be tours of Royal Liver Building in September as part of the Heritage Open Days weekend. I’ll be going back to explore in more detail and try to find the offices where Harry Millington, my granddad once worked. It’s not often I share a guest list with mutton-as-lamb D-listers or orange-hued WAGS. I’m grateful for such small mercies in life. But a few days ago I joined Coleen McCloughlin, assorted cast members of Hollyoaks and the non-original Sugarbabes at the opening of the new Hilton Liverpool hotel. It was an event marked by the Hilton Rocks party, a rush on leopard-skin prints at Primark and a night of tumbleweed blowing across the tanning parlours of Merseyside. John Terry would have been in his element. On the night the paps got their pictures and the Liverpool Daily Post got their front-page lead for Friday. But, for me, Hilton got this one wrong. Hilton is a bit dull, right? It’s safe and corporate and gets away with charging £15 for 24 hours of WiFi access because most people staying are on company expenses. The £55m Liverpool property is all shiny and new but, when check into your room, and it’s clearly just another Hilton. So I can’t blame the management for trying to inject a frisson of excitement into their opening night. But Liverpool has far more to offer than WAGs and wannabes. 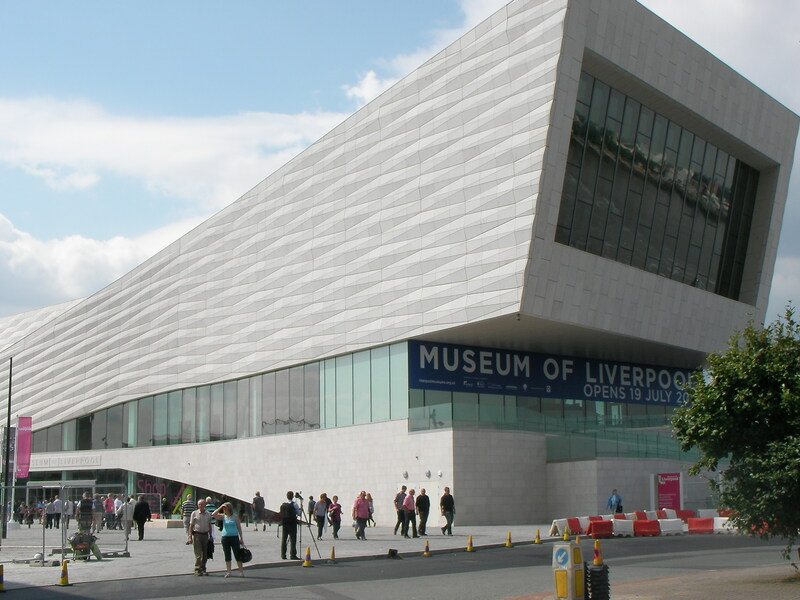 From the Unesco World Heritage-listed waterfront to the cultural powerhouses of the Royal Liverpool Philharmonic and FACT, there’s plenty to celebrate about post-Capital of Culture Liverpool. After all, 15m people attended a cultural event or attraction during the city’s year in the international spotlight. So why pander to the lowest common denominator? As one of the partygoers told me on the night, “It’s all, well, a bit tacky, isn’t it?” And he’s one of the investors. The new Novotel Liverpool opened around the corner from the Hilton before Christmas and opted to generate interest with quirky features, such as TV diners in the restaurant and offbeat meeting rooms, not a glitzy launch followed by a long, soul-searching hangover. The new DoubleTree by Hilton, Chester, the £28m redevelopment of the Hoole Hall Hotel, came under the Hilton franchise last year and is one of the few DoubleTree properties in the UK. Ever since it has been quietly garnering plaudits for its less corporate, more refined take on the Hilton brand. The hotel feels quietly professional, not flashy and needy. The Steakhouse Bar and Grill opens at the DoubleTree in a couple of weeks with a menu by Marco Pierre White. Marco will be heading north in March for the big opening (watch this space), but I’m sure the famously surly chef would have little truck with perma-tanned hangers on gurning for the paparazzi flashbulbs. In the cold light of the day the fact remains: the best hotels are the ones that don’t have to try too hard.